The plot revolves around a returning Prisoner of War who is highly revered and appreciated but a CIA agent is totally convinced that the soldier has been brainwashed and turned against America by Al-Qaeda. Where can you stream Homeland? 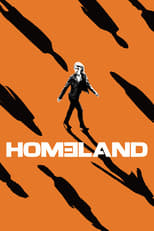 On 2011-10-02 Drama/Action & Adventure TV Series Homeland first aired on Showtime. Written and created by Howard Gordon & Alex Gansa, and produced by Showtime Networks & Teakwood Lane Productions, Homeland will return and was last broadcasted on 2018-04-29.